Grand Canyon Theological Seminary is bringing a prominent Christian author and speaker to campus this weekend for two presentations that are open to the public. 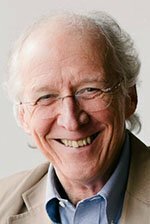 Dr. John Piper, founder of desiringGod.org and chancellor of Bethlehem College & Seminary in Minneapolis, will give a talk designed especially for college students – “Don’t Waste Your Life” – from 7 to 9 p.m. Friday in Grand Canyon University Arena. He’ll follow that with another presentation, “Reading the Bible Supernaturally,” from 9 a.m. to noon Saturday in the Arena. Tickets, which are $5 for the public and free to GCU students and employees, are available here. The sessions will have a special GCU touch: Center for Worship Arts students, many of whom had songs on the recently released 2017 Canyon Worship album, will perform at both events. 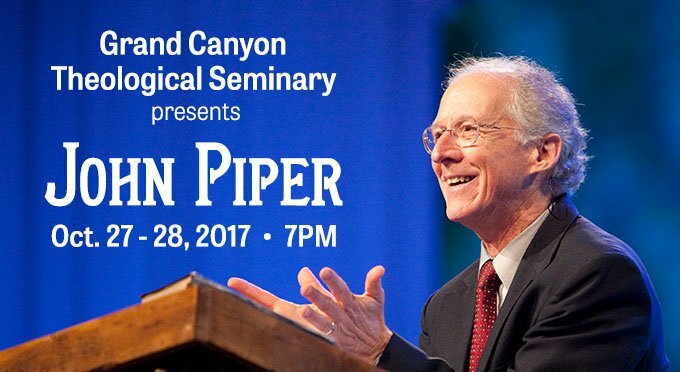 GCU also has partnered with The Gospel Coalition’s Arizona chapter to feature Piper in a question-and-answer session with Arizona pastors and College of Theology faculty on Friday afternoon. “It will be an excellent opportunity for GCU to connect with a ministry of international renown that has profoundly impacted the church for years,” said Dr. Jason Hiles, Dean of the College of Theology. Piper, 71, has written more than 50 books and has been preaching for more than 30 years.